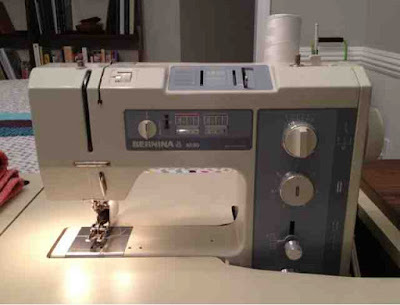 The dilemma of not having a sewing machine quickly came to an end Christmas of 2011 when my Grannie, Idotha Poling, gifted me with one of two machines she had on hand. She was moving and only wanted to keep the smaller of the two. This is how I came to own a Bernina 1030. I was elated to have a machine even though at the time I had never heard of the Bernina brand. She also gave me her sewing cabinet and all her miscellaneous sewing tools and thread. My mother-in-law gave me two rotary cutters and a cutting mat for Christmas. Goodbye 12-inch ruler! I was all set to start my next set of quilts and so I did. 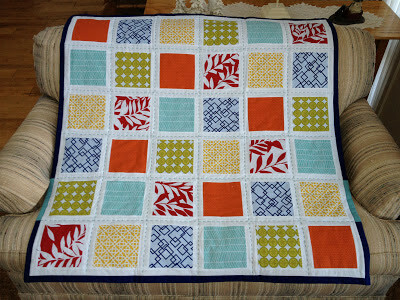 This time, I was making 2 quilts at the same time over Christmas break for two dear friends of mine, Lesli and Molly. They were each pregnant with their second child and were both expecting boys. 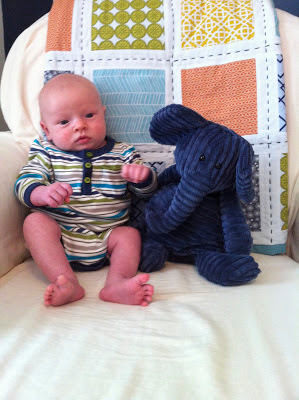 I Google searched "simple baby quilt" and found an easy 6-inch squared quilt pattern that looked promising. 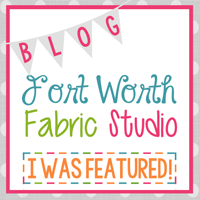 I spent lots of time on fabric.com and found fabric that I thought was suitable. Lesli and Molly both have very specific tastes in decor and I tried to make something that would fit in their homes. I had no idea what their nurseries were going to look like, but I knew how particular they could be. 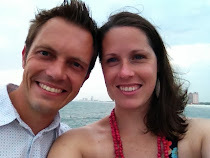 I stalked their Pinterest pages to try and get some ideas. I wanted to make the quilts look similar, yet different at the same time. Some of the fabrics in each quilt are the same and some are unique. 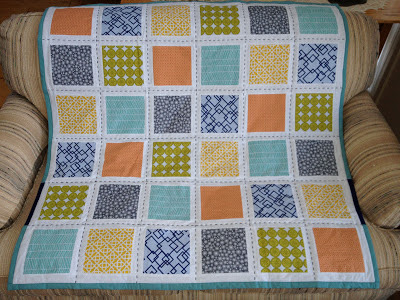 I did baste these quilts, sort of, and ended up using the backing as the binding by folding over the edges. 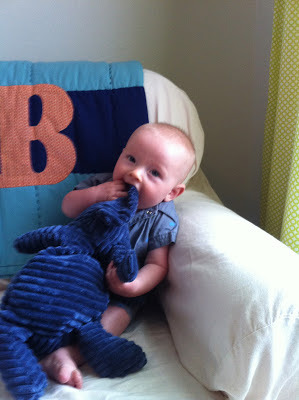 I knew the pillow sewing technique wasn't appropriate and needed to change my approach. 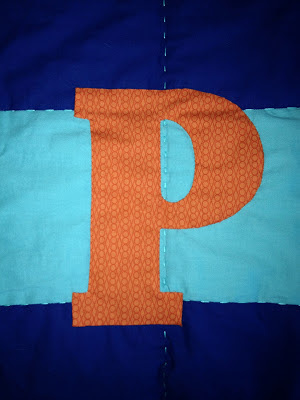 I used embroidery thread again to quilt, but was quickly learning how challenging it was to pull such a thick grouping of threads through the material over and over again. 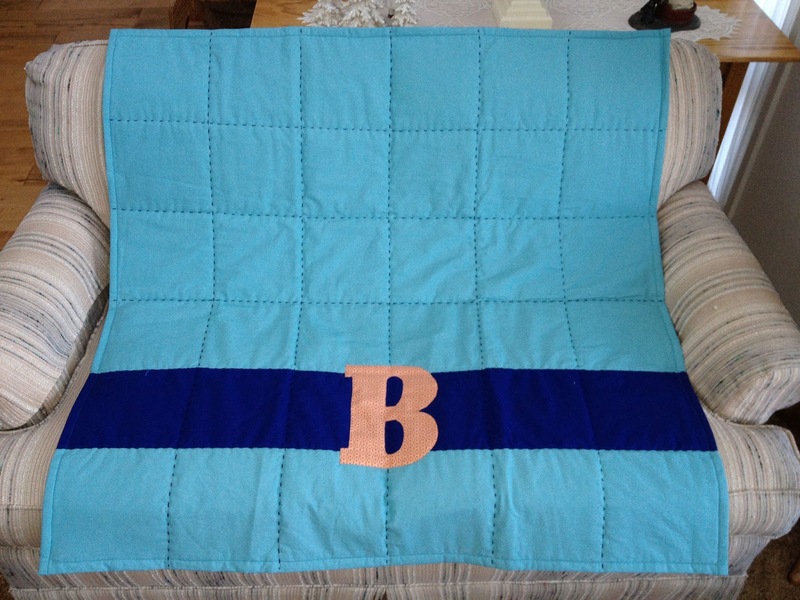 Another trend I was finding online was the idea of creating interesting backings for quilts. The idea that the back of a quilt could just as easily stand alone as its own quilt was an exciting challenge, so I decided the backing wasn't going to be one piece of fabric. 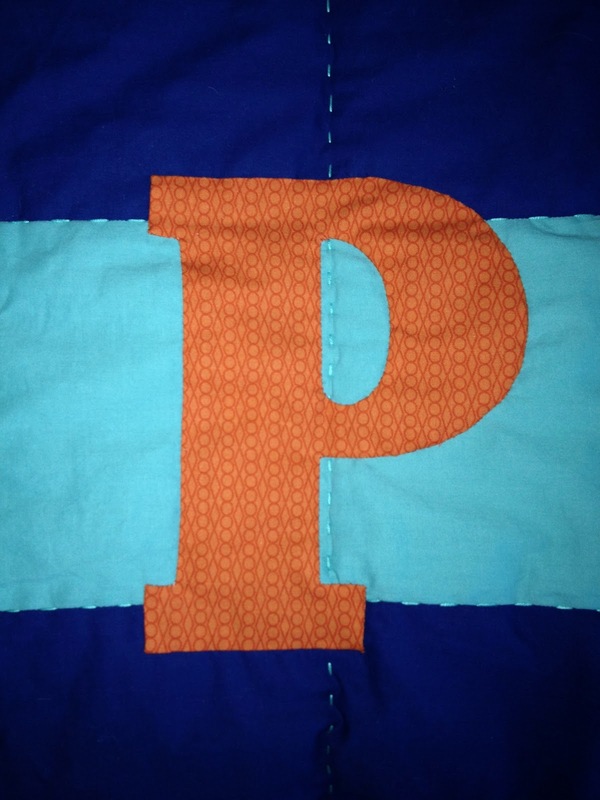 I also wanted to try my hand at hand-applique. 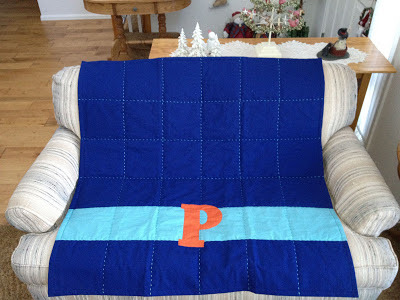 My Grannie was a master at hand-applique and I thought it was only fitting that I not only use her machine to make these two quilts but I also take the time to hand-applique a piece on each quilt. I think they turned out pretty well. Such a handsome little guy.